Showcase past U.S. presidential election results in an interactive map. Breakdown results by state and project future trends. Allow users to view past elections and predict voting outcomes. Collect user feedback and send it back to a data source. 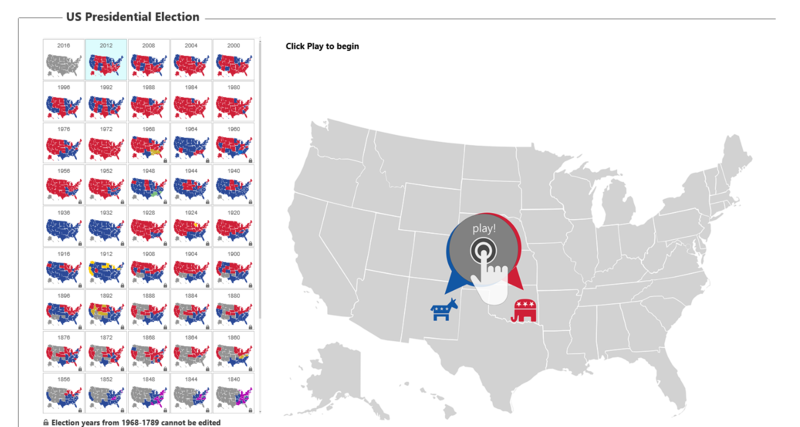 To develop an interactive map to track U.S. presidential elections. The final product needed to showcase each state’s results for past elections and predict a state’s winner for future elections. The challenge here was to develop the interactive components. During that time, Power BI was an upcoming technology solution with no write back feature. After deep analysis, exploration, and proofs of concept, we developed a solution that met all the requirements. MAQ Software’s Interactive Presidential Election Map is an integrated application generated over Power BI. 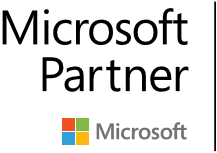 Our custom application provided a seamless solution by building on Power BI’s ability to enable a two-way data transfer. This customized service on PowerBI can be used to create many meaningful applications that incorporate various business logics. The application pulls data from all historical maps going back 1789, the year of the first U.S. presidential election. Starting with the 1972 map, users may update the map to see how their expectations of the 2016 election compare to past elections.